Louie’s original analysis, though, had one surprising claim: The Solos contained four metal parts that seemed to him to serve no purpose aside from adding bulk to the otherwise cheap plastic design. I’m one of the writers who seized upon the detail and saw it as an opportunity to rip Beats apart. Look at this deceptive practice! Beats are such garbage that they need extra weight so that people won’t see them for the rubbish they really are! It was an irresistible story. I’ve never been a fan of Beats and it bugs me that an inferior, over-marketed product sells so many units when there are much better headphones to be had for the same price. Before they were replaced by a successor, the Solo2s last fall, the Solo HDs were a blockbuster, moving roughly 2 million units in 2013. All that on the strength of their fashionable design and their association with a hip hop icon. The brand’s infamous sound tilts toward overpowered bass that erases nuance and detail, not that it matters to anyone who is buying them. A lot of people had gripes with Beats as well, it seems, because posts on the subject exploded—mine is hovering at about one million pageviews right now. But over the following weeks, as the pageviews climbed, the stories came under closer scrutiny, and some of Louie’s claims started to fall apart. Were those metal parts really only there for weight? Louie had used a discontinued model of the Beats Solo headphones—how did did he get them, and were they even real? In a followup post published on Wednesday, three weeks after the original teardown, Louie conceded that he had indeed been duped by counterfeit Beats headphones. He conducted a teardown of two additional sets, concluding that counterfeit Beats are nearly impossible to spot without a careful eye. And even more interestingly, the real Beats contained the same weighted pieces as the counterfeited version. When his post went up, I’d just finished a Beats teardown of my own. I’d seen the claims that Louie’s pair might’ve been fake, and I wanted to see for myself if his conclusions held up. My choice was a matte-black set that certainly looked legit. Since the Solo HDs are discontinued, I was forced to pick amongst third-party sellers on Amazon, many of which list specs that are completely fabricated. It’s easy enough to figure out how to take Beats apart. There are plenty of tutorials on repair online, and all you need is a $6 set of tiny Stanley screwdrivers to do the job. The screws are mostly Phillips, and using the tiniest flathead in my set I was able to remove the few Torx screws. The flathead also serves as a lovely pry bar for popping apart the snapped together pieces. The toughest part of the disassembly was using a hairdryer to melt the glue that binds the drivers to the ear cups. Here’s the whole teardown of my probably legitimate Beats by Dre Solo HDs. Shows the heavy metal sizer (1), the decorative joiners (2), and the metal covered drivers (3). Once disassembled, I called Michael Liang, aka HiFiGuy528, a Beats aficionado who was the first guy to do an unboxing of this very set of headphones in matte-black years ago. He walked me through the tell-tale signs of a fake, and I just couldn’t tell from what he told me if mine were indeed legit. “Some of them are very, very convincing,” he says. Based on Louie’s second analysis, I’m confident I’ve got a real product. Like authentic Beats, the drivers in mine are coated in metal. Also two of controversial metal parts on my headphones are weakly magnetic, which suggests they’re made of steel, whereas the fakes are made of non-magnetic zinc. 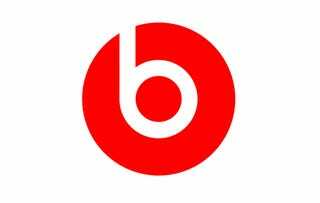 The discussion of why Beats are so easy to counterfeit is definitely interesting. But the more intriguing question—the thing I was on a mission to find out—was whether Beats really uses metal purely to add to the weight of its product. Do Headphones Even Need Metal? After his initial tear-down of counterfeit Beats, Louie did a follow-up with a legit pair. His conclusion was the same. In fact, he even identified new metal parts in the real pair. But fake or real, he wrote, those metal pieces, accounting for 33 percent of the mass of the product, are “there to add a bit of weight and increase perceived quality with a nice look.” I had torn down my own pair and confirmed the existence of the metal and plastic structure that Louie’s claims were based on. The hefty metal parts were definitely there. But finding out whether they served a functional purpose was more difficult. Are they really only there to add weight and enhance the feel of the headphones? Is that really possible? Probably the biggest proponent of using metal in headphones is Val Kolton, founder of V-Moda, which is a kind of anti-Beats. V-Moda headphones contain almost no plastic and are built to military specifications for durability. He’s very proud of the slick hinge on the XS headphones—the direct competitor to Beats Solos. “It is user-friendly, strong, light-weight and reliable, with a ‘click tactile sound like a luxury lighter,” he told me by email. He wasn’t exaggerating. The click is delightful. Both Kolton and Mansilla seemed to agree—metal is often structurally necessary in headphones, and when it’s used right, it can even delight users. But Do Beats Need Metal? Some might assume that the metal hinges are used for function rather than feel. At first glance this seems reasonable but further disassembly reveals that the metal parts are actually mounted to plastic bosses. Nearly all stress on the metal parts is transferred to these plastic features, which are actually smaller than the beefy metal parts. I went digging through my headphones for other examples of sizer parts. From a design perspective, the closest Beats analog I could find were the newest version of the Bose noise-canceling headphones that are mainstays of airport lounges everywhere. These headphones have an ultra-thin sizer mechanism that bends so freely I was sure it was plastic. It’s actually a very lightweight metal, which runs from earcup to earcup, serving as the core of the headband’s entire structure. How about some of the other metal parts Louie identified, like these two small metal joiners? These exist to join together two pieces of the headband in a low stress spot. The best evidence the component doesn’t need to be metal? The special edition Solo HDs I used for my tear down—which have the matte-black colorway—actually forgo these metal joiners entirely for cheaper lighter plastic. (At first I didn’t believe it, so to make I asked Michael “HiFiMan528” Liang to take apart his headphones to make sure. It is indeed plastic.) Today, the Solo HDs have been replaced by the Solo2s that don’t use this component at all. The little joiners are plastic on the matte black colorway. The decorative metal pieces in the headband are just that — decorative. They are not used to trap or hold any of the plastic pieces. These metal dividers cover an area where the material changes from hard plastic to softer silicone rubber. Having the two parts right next to each other accentuates color differences created by making the parts out of different materials, which can be particularly hard to match. Engineers often use a separating feature, in this case the metal band, to visually divide two materials. The gloss is an aesthetic consideration, and along with the weight, it’s a part of the overall emotional experience the headphones are supposed to conjure. You buy these headphones not just because they look good, but also because they feel good when you hold them. So where does that leave us? The metal sizers, the parts that started this whole investigation, could add structural strength but attach to weak plastic bosses anyways. Meanwhile, the metal of the joiners doesn’t have any purpose beyond improving the look and finish of the headphones. This confirms what we knew all along going into all of this mess: The headphones place aesthetics above function and quality. We didn’t need a teardown to prove that they’re very expensive devices that break far more often than others. In the end, people like the look of polished plastic—but it feels cheap, and metal is a clear solution to the problem. Even if it doesn’t serve an explicit functional purpose, without it, this wouldn’t feel like $200 worth of headphone. But that’s the genius of Beats by Dre, which evidently treats its manufacturing as a kind of extension of its marketing: all luster and heft, no substance. Contact Mario Aguilar, the author of this post, at maguilar@gizmodo.com. Follow him on Twitter.